Only Nature's Plus Ultra Probiotics gives you the total body health-enhancing power of 40 billion viable cells, guaranteed! 40 billion viable cells is over 6 times that of the average probiotic supplement! 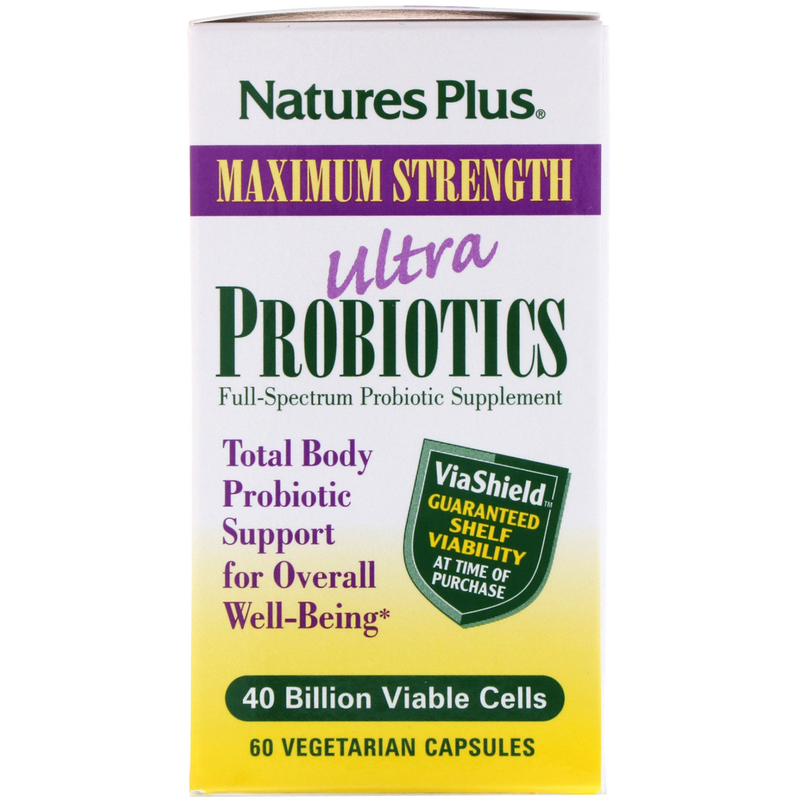 Ultra Probiotics' astounding strength derives from the ViaShield viability preservation system, a process with over 100 steps ensuring total viability at the time of purchase. ViaShield includes highly effective culture and encapsulation techniques, rigorous temperature, humidity, light and air-quality control systems, and verification through microbiological assays, for total shelf life viability. Nature's Plus Ultra Probiotics also includes synergistic FOS (fructooligosaccharides) and 300 mg of whole acai fruit prebiotic fiber to further optimize its unrivaled activity. With 11 strains of friendly flora, Ultra Probiotics is the most diverse probiotic supplement available. 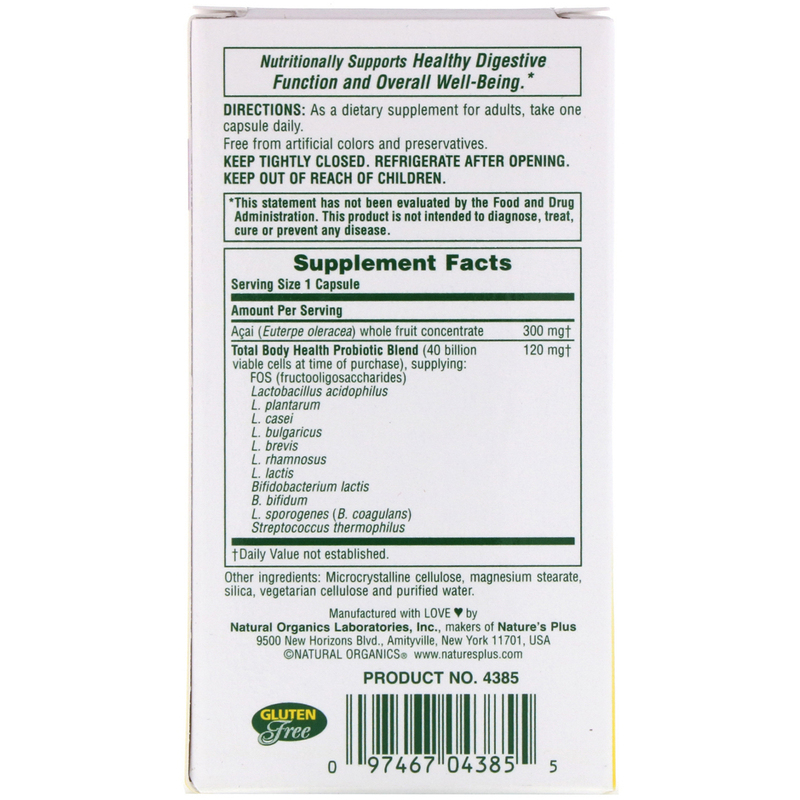 In fact, it is the only supplement to offer total probiotic coverage of the entire digestive tract, including oral, intestinal and colonic probiotics. 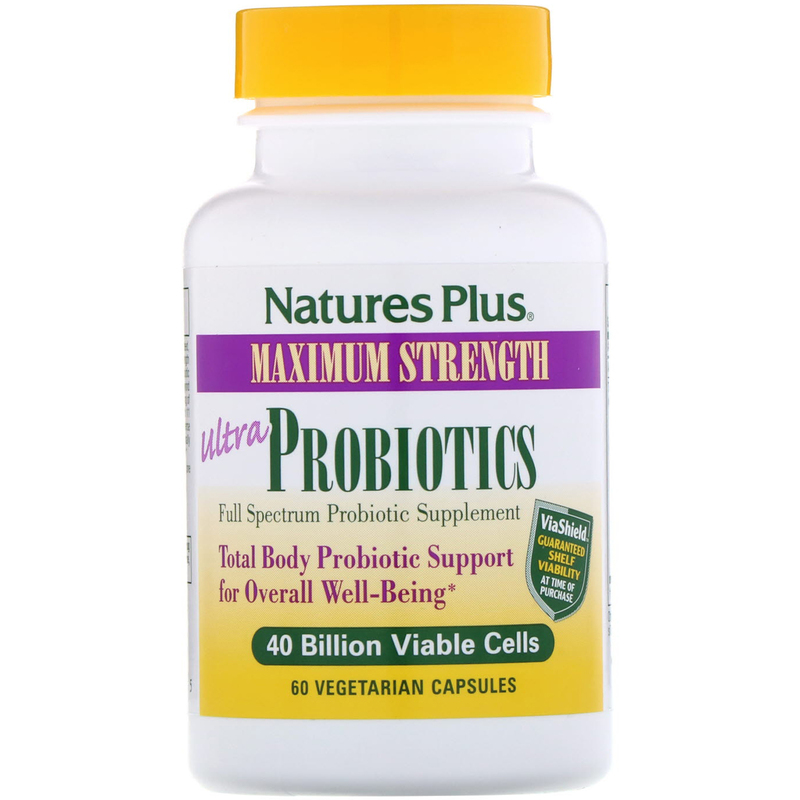 Nature's Plus Ultra Probiotics delivers the unmatched power of 40 billion viable cells, guaranteed, for total body health! Microcrystalline cellulose, magnesium stearate, silica, vegetarian cellulose and purified water.